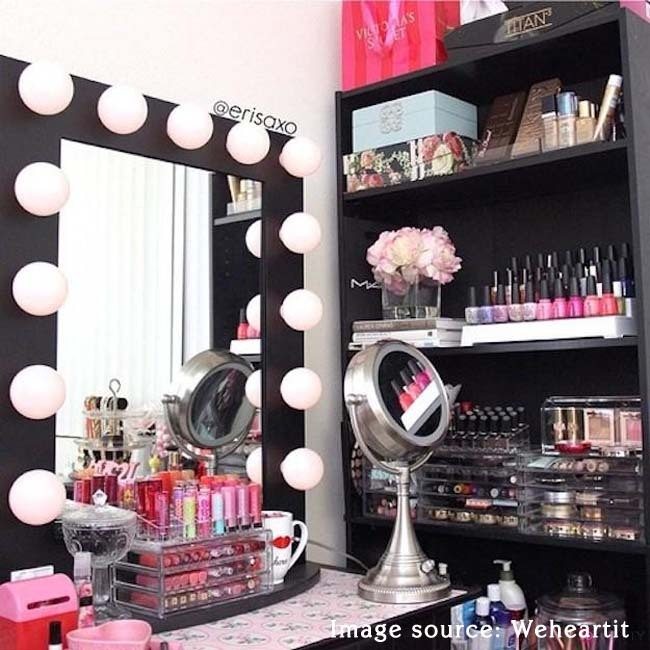 Basically, when it comes to beauty products, they can overcome our allotted makeup space and become unruly, especially as we add new makeup products to our “collection.”Personally, I apply the closet rule to makeup, which would be to get rid of a product when I buy a new product (with the exception of nail polish and lipstick – that is, until it gets to be too much or it has out-lived its shelf life!). 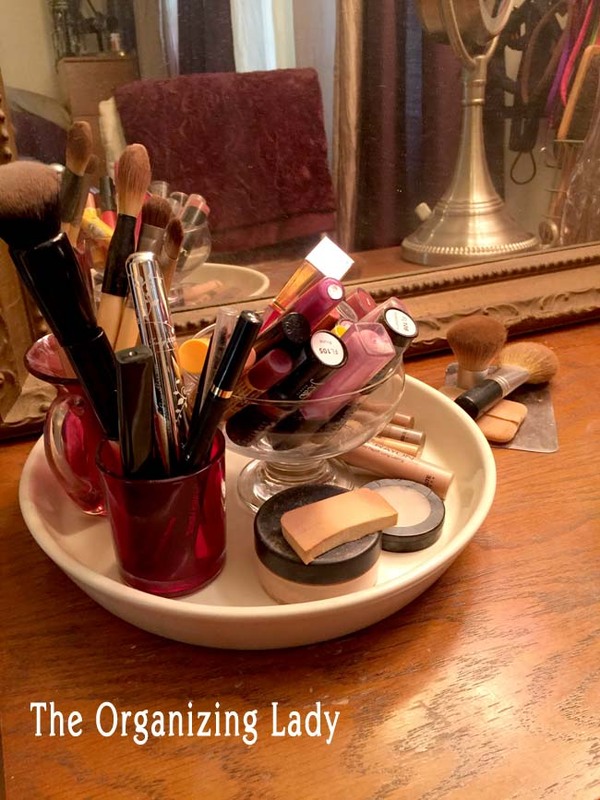 We have our face creams, our makeup foundations and powders, contouring creams, various blush colors, numerous eye shadow colors, dozens of lipsticks, lip pencils, eyebrow pencils, eyeliners, mascara, makeup brushes and pads, and heaven-knows-what-else. 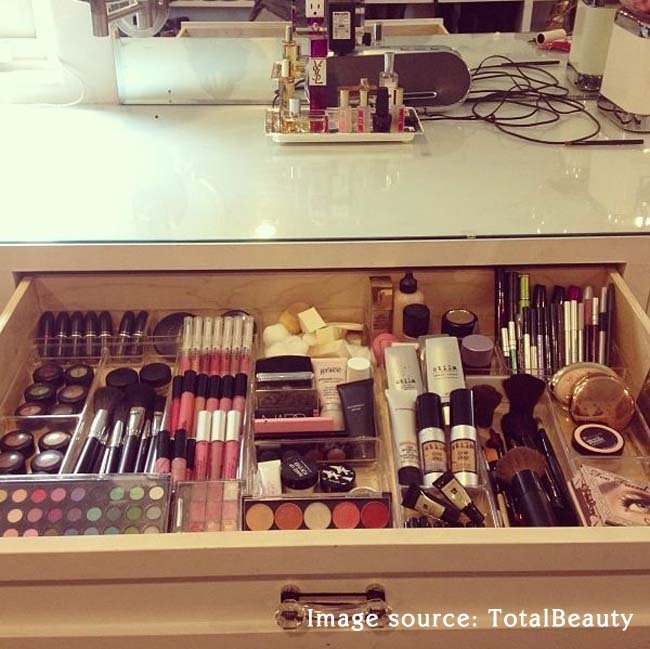 That’s a lot of things to help make us more beautiful. 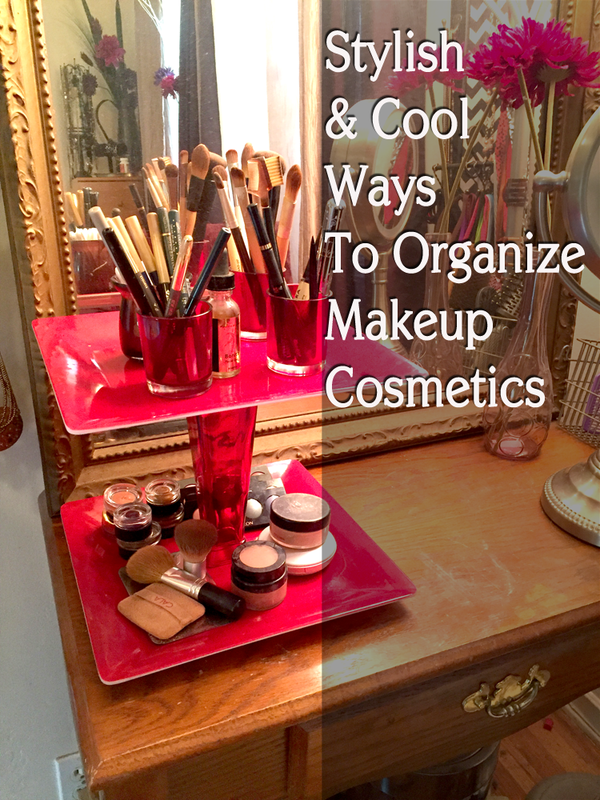 Well, I found some cool ways to create various makeup organizers and, depending on the size of your makeup “collection”, one of these just might inspire you. 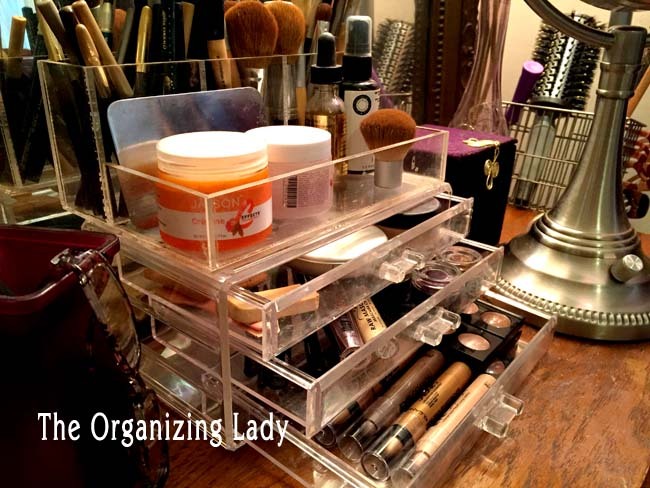 Pictured here is actually 2 acrylic organizers – a top piece with dividers and a 3-drawer piece. Very easy to make – just a couple of flat plates, a vase for the middle pole piece and some colored glass votive candle holders. 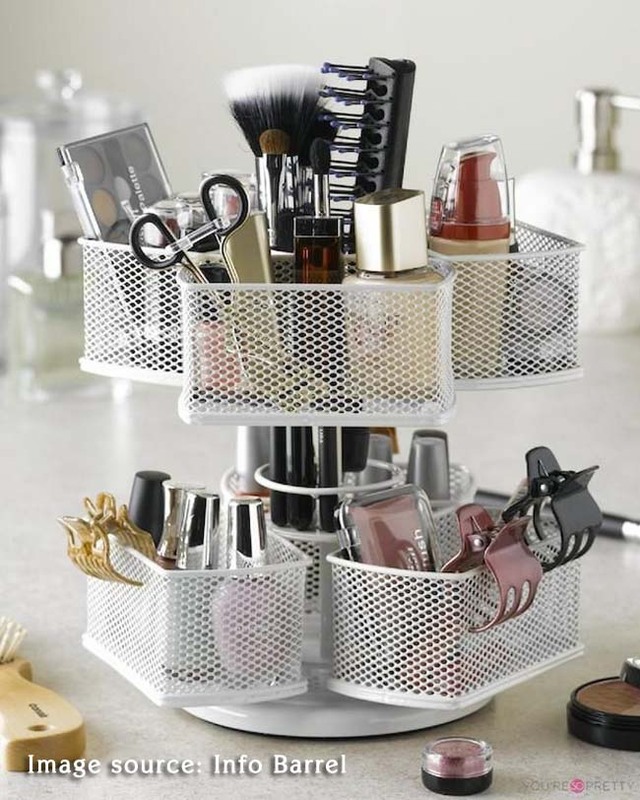 You can get creative and use just about any of these type objects to organize and store makeup and makefup brushes. 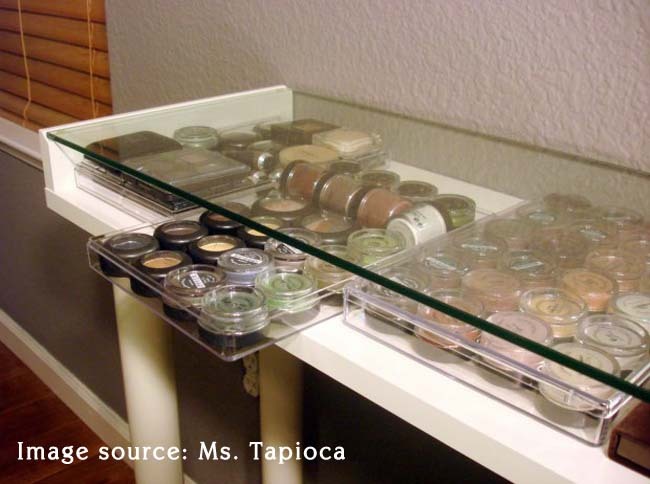 It gets really simple when you just have the basics in your makeup stash and want to display them for easy access. 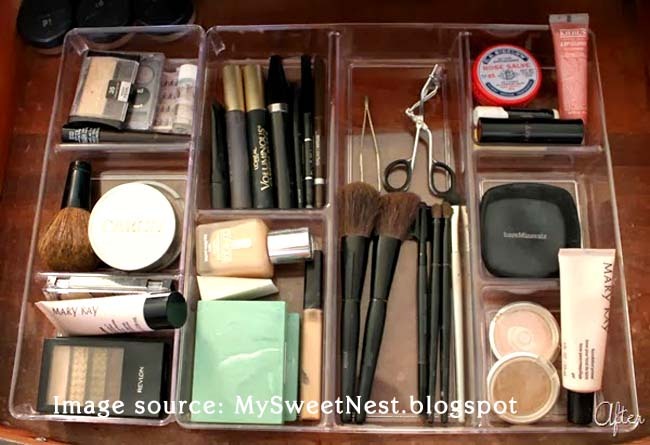 Just get a large plate (in this case a large ceramic pie dish) and any type of containers to compartmentalize your makeup. 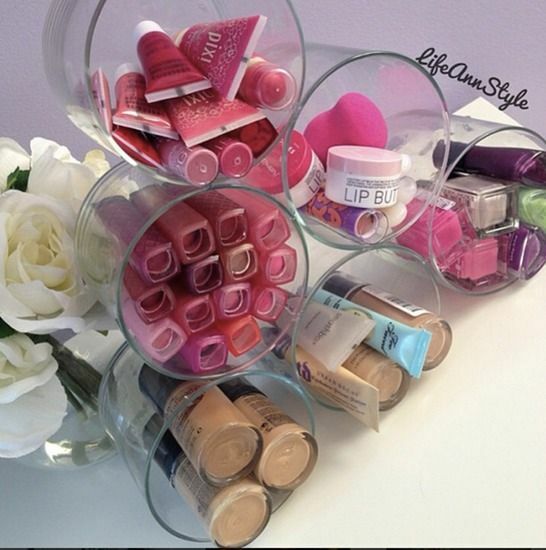 These are a must for any makeup drawer. 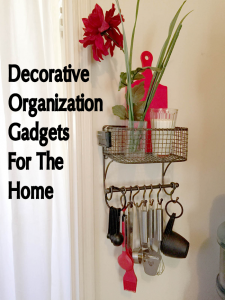 It keeps like-items grouped together and avoids the messy drawer syndrome. 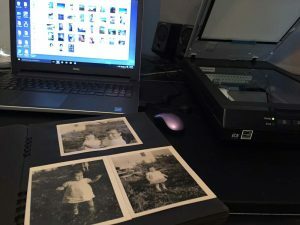 These come in all shapes, sizes and types, so if you have a big collection you want to grab – this could be the way to go. 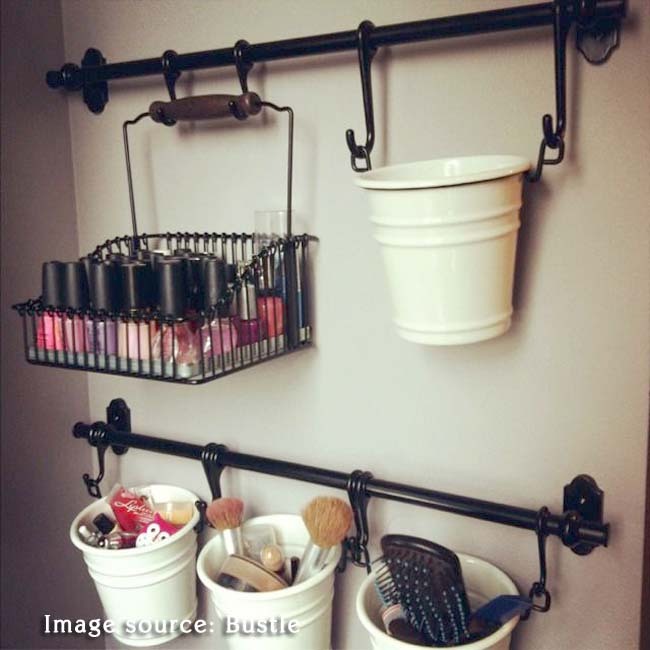 There are no words other than someone found yet another use for the Ikea rail system. What more can I say about this? 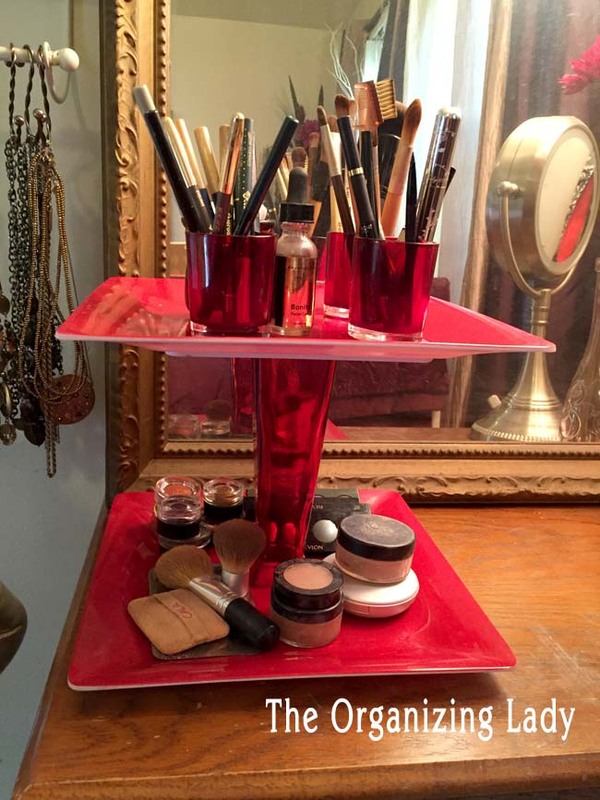 It’s 6 glasses glued together to hold makeup! 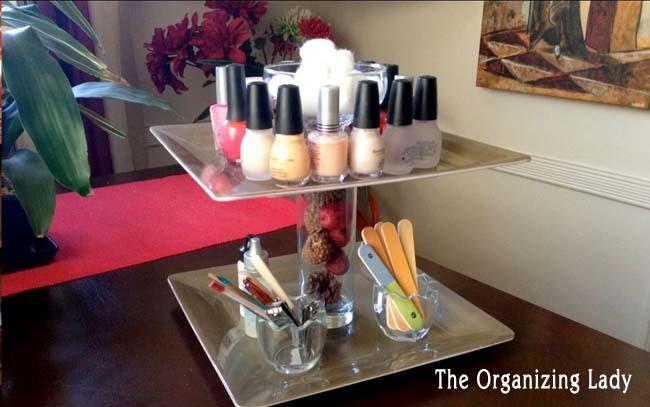 I made this, similar to the tiered makeup organizer shown above that I made. 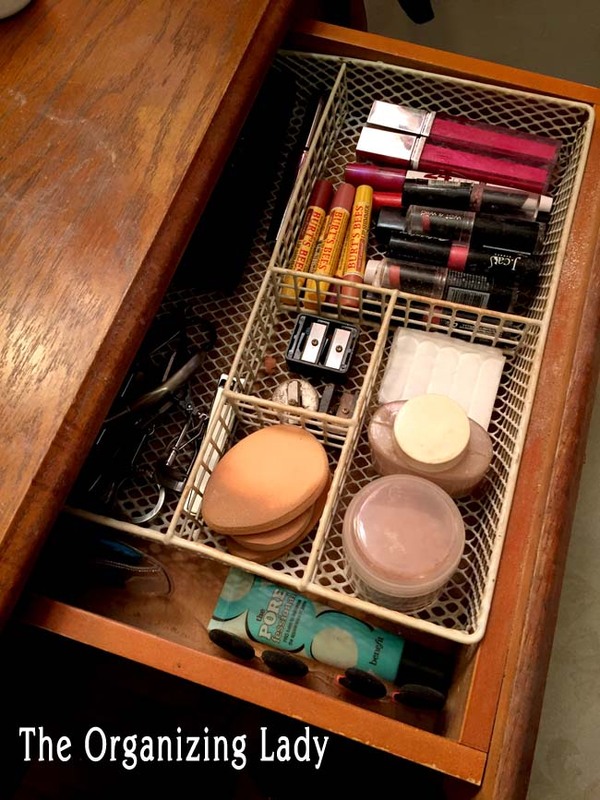 Anyway, these are just some that I think will inspire you to organize your makeup, so no more excuses for messy makeup areas, okay? !